GUYS! There was no new Korra this weekend! EPIC SAD FACE. Curses upon you, Nickelodeon, for deciding to re-air the series premiere instead! If a recap is what you are searching for, Lisa @ Lisa Is Busy Nerding did an exceptional job with it. You should check it out. But to get me through my Korra Wednesday, I decided to give in to my minor obsession with Deviantart, the BEST website maybe EVER for fanart, prints, illustrations, photography, etc. It’s a great place to buy awesome prints from artists and also a SUPER place to indulge in nerdery. OBVIOUSLY I go there to see how other fans are interpreting some of my favorite fandoms: Korra, Game of Thrones, Harry Potter, comic book characters, EVERYTHING. 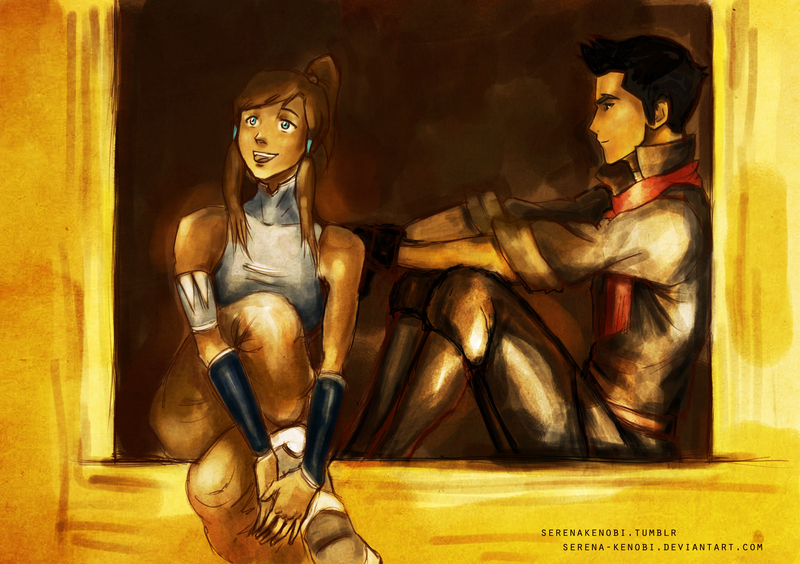 So without further ado, here are some of my favorite Deviantart images for Legend of Korra. Just a few. As always when I post images like this, click on the picture to enbiggen and check the source link in the caption. HOLLA and props to the artists, who are all amazing. Especially to a girl who’s stick figures are only vaguely humanoid. 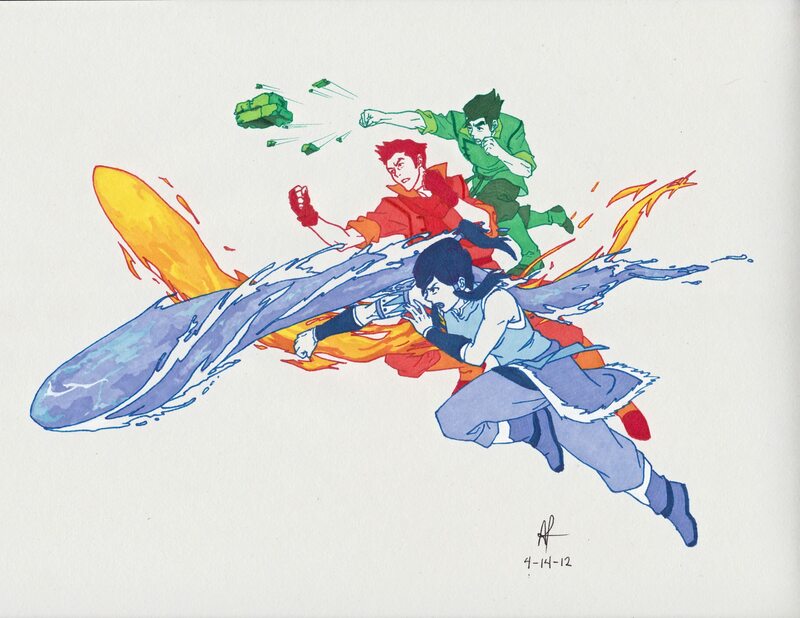 Love the illustration of Korra, Mako, and Bolin each drawn in their nation’s color. First time I saw this it reminded me of the Olympic rings. Umm, what? 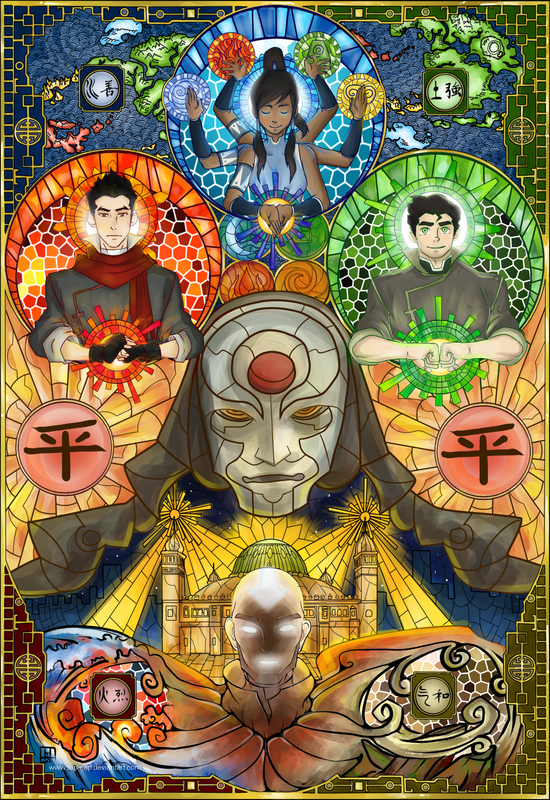 Legend of Korra stained glass artwork WITH Amon and mother effing AANG?! I’m a little bothered by how HUGE Amon is, but whatever. I’m a sucker for stained glass. So pretty! 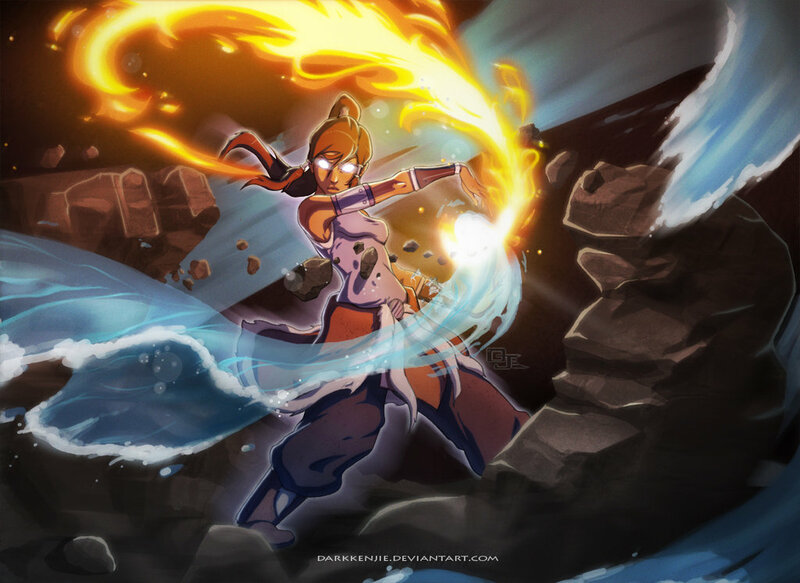 Korra, going all avatar on our asses. Which hasn’t actually happened yet. I don’t think. I’m pretty sure I’d remember if Korra all of a sudden had eyes that glowed like that. But can you guys NOT EVEN WAIT ANYMORE to see Korra put a smackdown like this on Amon!? Me neither. 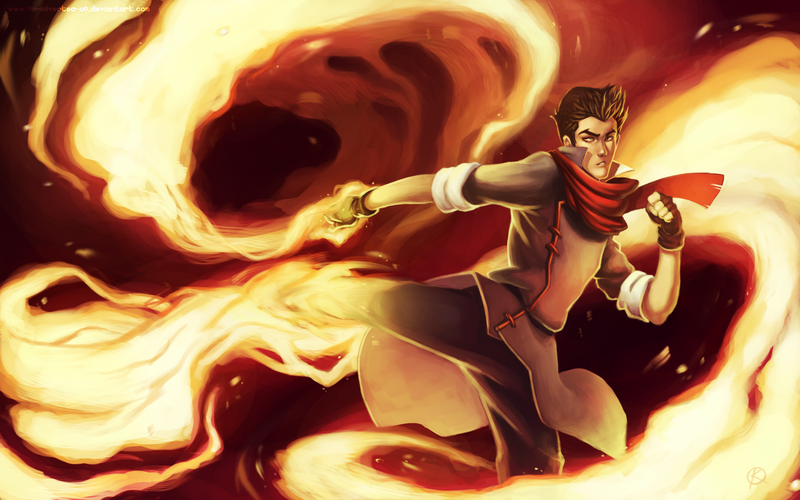 I had a hard time finding a picture where Bolin actually looked like a badass, but I like this one. He’s fistpumping that Earth! 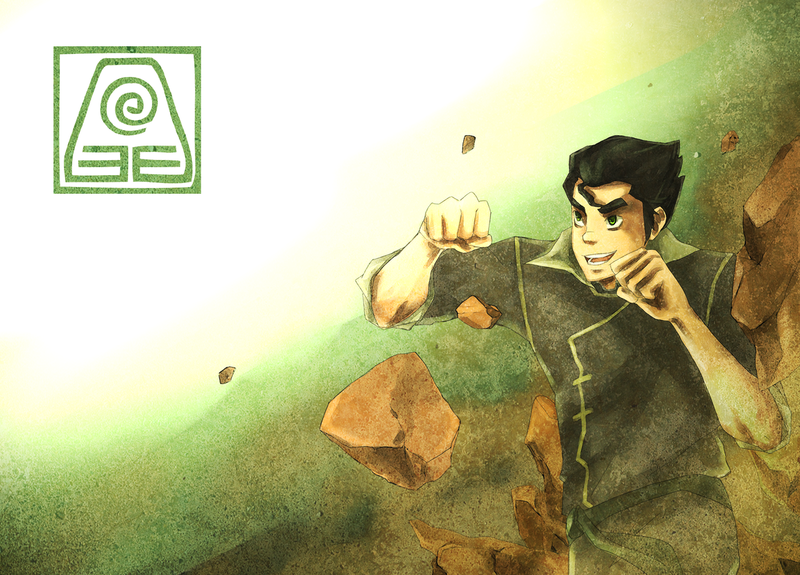 Guys, I LOVE Bolin. 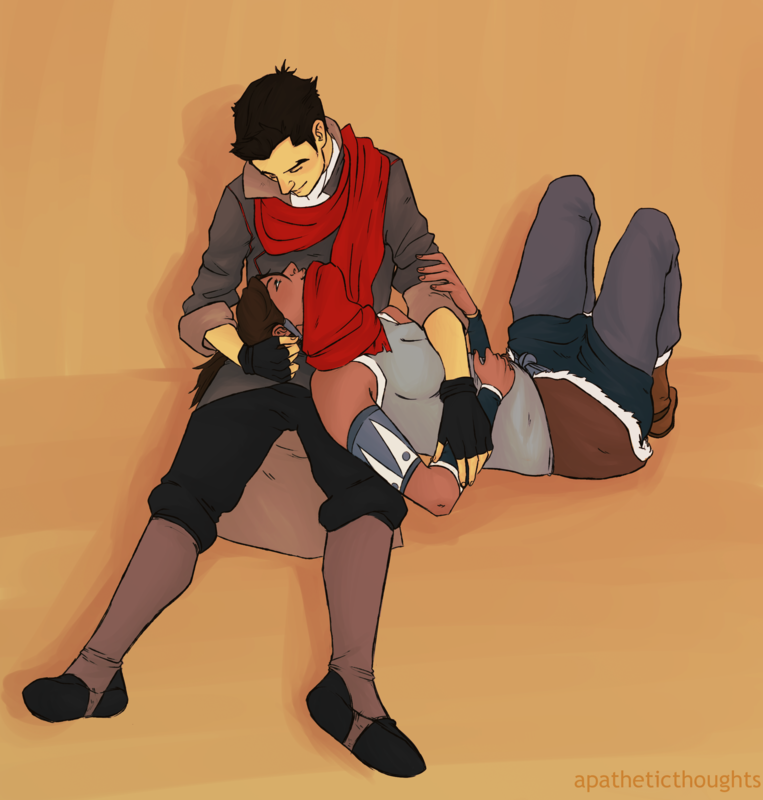 I don’t ship him and Korra, but I love him. His girl better be ACE. …and THIS is why. THE GAZING. One of my favorite ways to cuddle. I love that his scarf is draped over her mouth, like they’re connected by it, and the way his hand is almost playing with her hair, which I LOVE x infinity. SIGH. LOVE. I love a good black and white picture, friends, whether illustration or photo. This is so pretty. 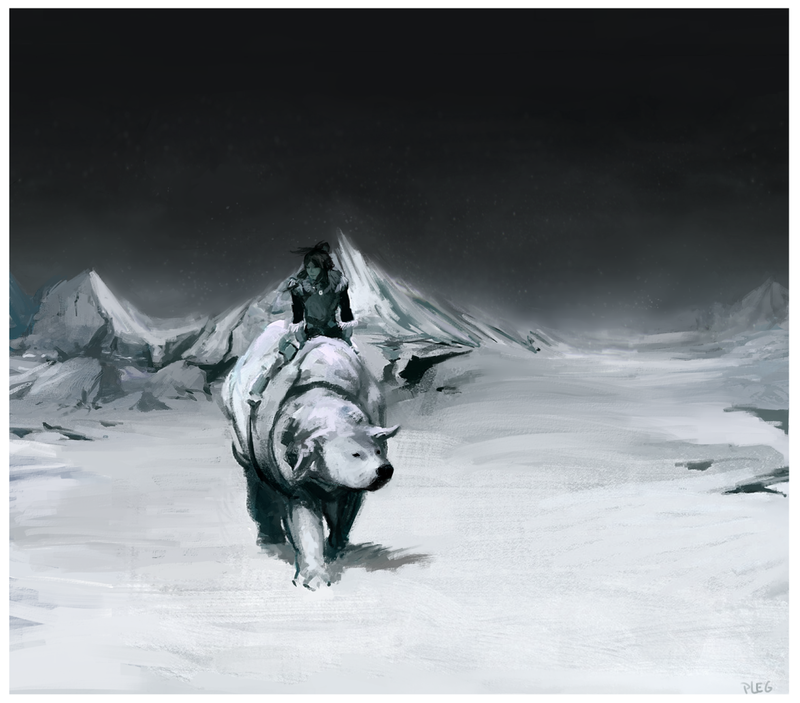 Just Korra and her polar bear dog together. Also, I WANT A NAGA so badly. Please and thank you. GAH!! PABU!! So stinking adorable. 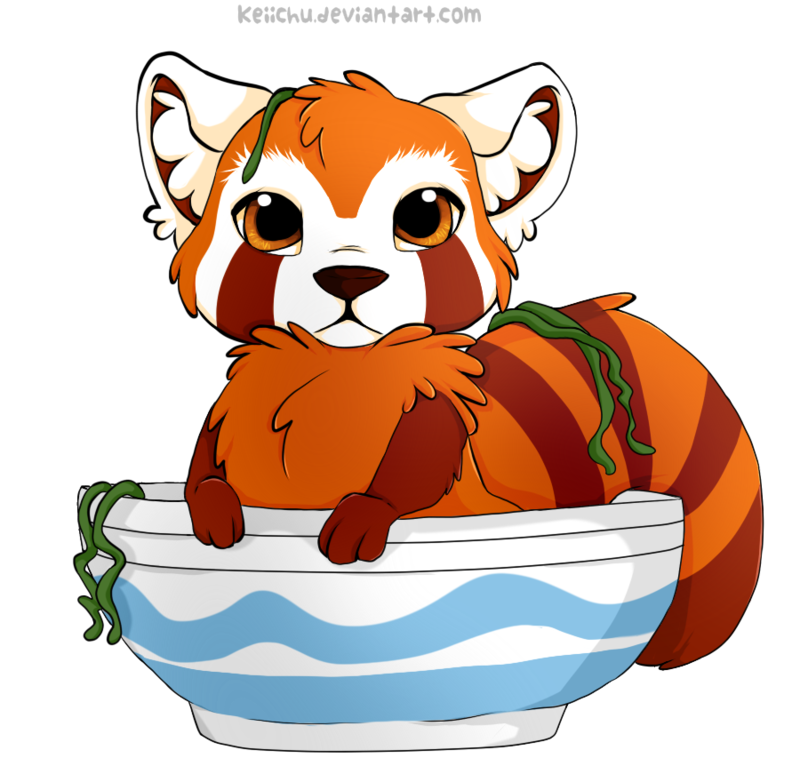 And I love how he’s rolling around in Bolin’s noodle bowl. How could you not love this face? 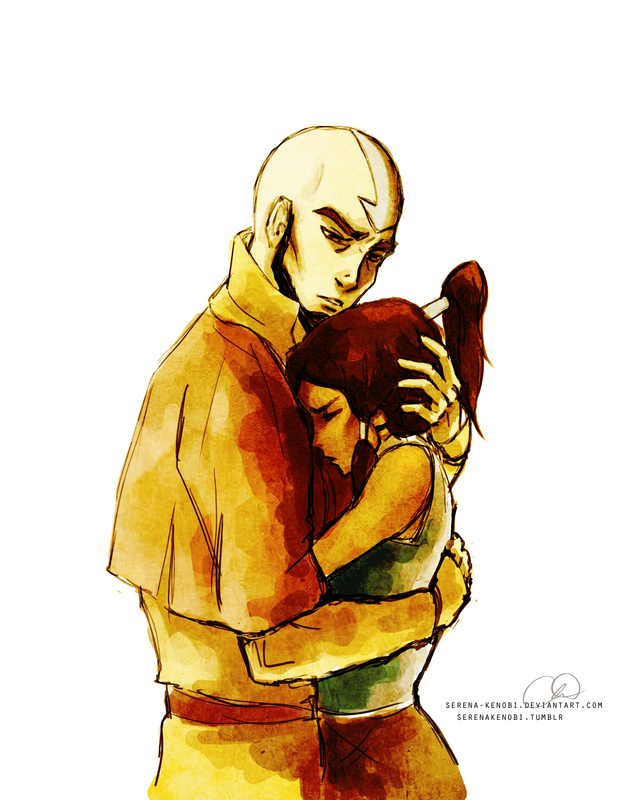 The two avatars. LOVE IT. Guys, I can’t tell you how ecstatic I was when Shanyn from Chick Loves Lit announced that she was starting this awesome meme. Recommend A… is finally giving me the chance to cater to my inner nerd for specificity and randomness!! AND I LOVE IT. So props to Shanyn, who is fab for starting this up. I’m looking forward to giving some attention to books that might have missed everyone’s radar for one reason or another. Woo hoo! The Lost Conspiracy by Frances Hardinge. This book has a green cover because it takes place in a JUNGLE! Holla! But seriously, this is one of the better, cleverer, more imaginative, completely unique fantasies I can remember reading, all because Frances Hardinge did something that I almost never see: set a fantasy world in a steamy, lush, dangerous tropical jungle. The result is pretty effing awesome. I wouldn’t recommend this to people who don’t usually like fantasy or who are just dipping their toe because it’s pretty in depth and sometimes hard to follow. But still, AWESOME. Fablehaven: Fablehaven #1 by Brandon Mull. Keeping it with the fantasies this week! FABLEHAVEN is the incredibly solid beginning to one of my favorite middle grade series about secret magical preserves that safeguard fairies and other magical creatures good and evil, until the shizz hits the fan. Conspiracies, lies, traitors, and dangers lurk at every turn as siblings Kendra and Seth must try to save everything they know, and the people they love, from the bad guys. SO. STINKING. GOOD. So in honor of my Memorial Day Weekend NetGalley BONANZA, during which I will spend this holiday weekend reading ONLY NetGalley titles, I find it appropriate that I have managed to acquire EVEN MORE NetGalley books to add to my near-toppling “pile,” as it were, of e-galleys. This one’s also a little heavy on the middle-grades, friends. Which is SOLID NetGalley-ing. The Believing Game by Eireann Corrigan (December 2012 from Scholastic). YO! This book features the following: a boarding school, a cult with enigmatic leader, a young, troublemaking girl, a charismatic local boy, drama, danger, etc. Also, check out this CREEPTASTIC cover?! THE “I” IN THE TITLE IS AN EFFING BLOODY KNIFE. I’m sold. 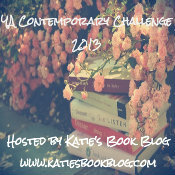 Remarkable by Lizzie K. Foley (April 12, 2012 from Penguin BFYR). Awww, guys! This one sounds so cute. Also, I’m surprised that this was still ON NetGalley, since it came out last month, but I’ll take it. Because this is a middle grade that I’ve been wanting to read pretty badly. It’s about this quirky town (HOLLA! One of my favorite plot devices) where everyone is…wait for it…remarkable. Except our main character, whose name is Jane Doe. When these two EVIL Grimlet twins (whose name makes me think of an adult beverage I don’t particularly enjoy, so that makes sense) show up in town, shizz hits the fan. AWESOME. The Dark Unwinding by Sharon Cameron (September 1, 2012 from Scholastic). So I’ve made a pledge this year to read more steampunk, because it’s usually not my thing, and this book sounds SOLID. It’s got inheritance troubles, crazy relatives who turn out to be odd geniuses, hot apprentices, spies, and a girl who begins to question her own sanity. WORD. The Encyclopedia of Me by Karen Rivers (September 1, 2012 from Scholastic). THIS middle grade sounds funny and adorable and I’M LOVING IT. Also, I’m loving those fabulous Hot Topic sneakers the kids are wearing on the cover there. I like the vibe I get from those shoes. Because this is the story of a girl who, to pass the time while grounded, decides to write an encyclopedia about herself, and her family, who live with a child who has Autism. And of course, there’s a boy. Looks super cute, friends. Partners in Crime: Sleuth or Dare, #1 by Kim Harrington. I actually bought this for le kindle a week ago, but forgot to include it last week! SAD! Because this middle grade mystery series sounds FUN. Two friends who have to create a fake business for school and decide on a detective agency, which of course becomes REAL. The second book in this series is coming out in the fall, but I can’t wait to get started on this one, guys. MG mysteries, whut whut!! HUZZAH for the books this week! Hope you guys got AWESOME things too!